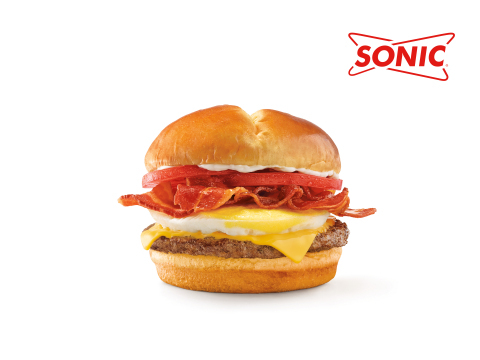 OKLAHOMA CITY--(BUSINESS WIRE)--SONIC® Drive-In brings you brunch on-demand any time with the new limited-time Brunch Burger. Made with a 100-percent pure beef patty topped with melty cheese, crispy bacon, and a perfectly fried egg, served on a bakery-soft brioche bun, this glorious combination of breakfast and lunch with a side of medium crispy Tots is available all day for just $2.99*. For the extra-hungry brunch fan, SONIC also offers the Bigger Brunch Burger that doubles the beef, available a la carte for $4.99*. Guests can even take their brunch all the way by ordering a Cherry Limeade Mimosa, a refreshing blend of SONIC’s Classic Cherry Limeade with a splash of orange juice. 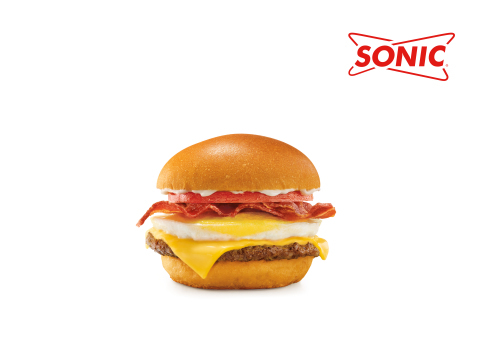 The Brunch Burgers are only available for a limited time at participating SONIC Drive-ins. ** See app for details. For a limited time only at participating SONIC® Drive-Ins.